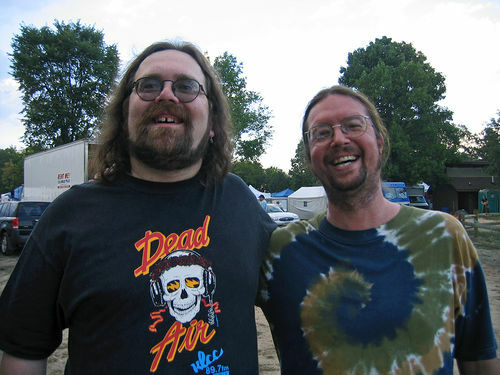 It was officially announced today on Dark Star Orchestra’s website as well as John K’s site that the frontman faux-Jerry extraordinaire is resigning from the band and will play his last DSO show December 5th in Buffalo, NY. Kadlecik says that he “cannot in good conscience divide [his] time and energy between DSO and Furthur”, and he feels that it “would be a disservice to all parties involved”. In the interim, Jeff Mattson (Zen Tricksters, Donna Jean Goodchaux Band, Phil Lesh and Friends) will be filling in – at least for the NYE run, Jam Cruise, and the winter tour announced today. The band’s publicist, Dave Weissman, told Hidden Track that “Mattson’s assignment will be temporary, and that DSO has begun a search for a permanent replacement”. Read what drummer Rob Koritz has to say about the decision here.